Manisha Parmar started writing professionally in 2000 for a life sciences abstracting and indexing services company. Her areas of interest include health, nutrition and the environment. She holds a Bachelor of Arts in biological sciences from Rutgers College and a Master of Science in environmental science from Drexel University. Organic Smooth Move® Tea is a caffeine-free, herbal tea made by Traditional Medicinals of Sebastopol, California. According to the product website, this herbal tea contains 98 percent organic ingredients. Although the main ingredient of Organic Smooth Move is known to ease constipation, the FDA has not evaluated the claims of this product. Consult your doctor before using herbs to treat a health condition. The product website describes the taste of the regular Organic Smooth Move tea as "sweet and slightly bitter with citrus-orange and spicy notes." Ginger, orange peel, fennel and cinnamon, which improve the flavor of the tea, also support digestion. Traditional Medicinals also sells Smooth Move tea with chocolate, chamomile and peppermint flavors. Senna leaf and extract, licorice root, bitter fennel fruit, sweet orange peel, cinnamon bark, coriander fruit, ginger rhizome, and orange peel oil on gum arabic are the herbal ingredients that make up Organic Smooth Move tea. Senna, which is a type of stimulant laxative, is the ingredient in this tea that is primarily responsible for easing constipation. MayoClinic.com reports that stimulant laxatives promote bowel movements by increasing the muscular contractions of the intestinal walls. This helps move the stool out of the body. 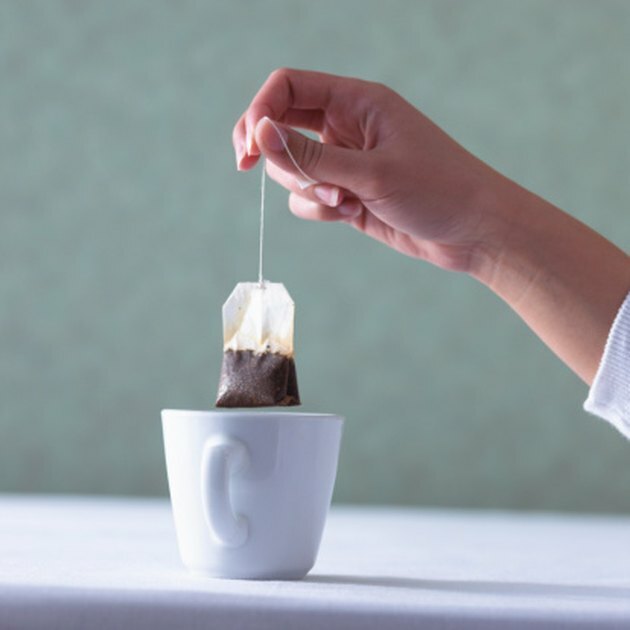 Place a bag of Organic Smooth Move tea into a cup or mug. Pour 8 oz. of hot water into the drinking vessel and let the tea bag sit for 10 to 15 minutes. Squeeze out the remaining water from the tea bag to get the rest of the tea extract. Adults may drink 1 cup before they go to bed or otherwise follow their doctor's instructions. Children ages 6 to 12 may have ½ cup and children ages 2 to 6 may have between ¼ to ½ cup. Consult your doctor about specific dosage suggestions for children under the age of 2. Do not drink Smooth Move Tea if you have any of the following conditions: ileus; acute intestinal inflammation, such as Crohn's disease or ulcerative colitis; appendicitis, stomach pain of unknown cause; and dehydration and electrolyte depletion. Do not use the product if you have or develop diarrhea, loose stools, or stomach pain. Senna, the active ingredient in Smooth Move Tea may make these conditions worse. Stimulant laxatives, such as senna, should not be used for more than a week unless your doctor tells you otherwise. Using laxatives such as Organic Smooth Move Tea for a long time may create a laxative dependency and result in several negative side effects. Does Smooth Move Tea Work?